Astro has just released a new digital wallet called Payfy that is currently available on iOS and Android. Payfy currently only functions as another option for Astro subscribers to pay their bills or for NJOI users to top-up on credit, although there are plans to introduce more features and payment options in the future. The platform is only available to Malaysians above the age of 18 with a valid MyKad. 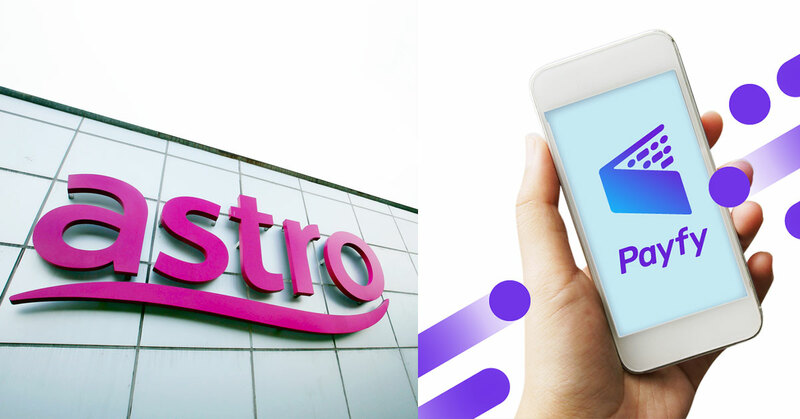 Not one to be left out, Malaysian broadcast giant Astro has recently joined Malaysia’s rapidly expanding e-wallet scene by launching their very own service called Payfy. Available on Android and iOS with immediate effect, Astro intends Payfy to become yet another challenger to already existing e-wallets such as GrabPay, BigPay, Lazada Wallet, and the many others on offer. Like most of its peers, Payfy allows Malaysians above the age of 18 with a valid MyKad to make cashless payments after filling up their accounts with preloaded funds, although currently its functionality is limited to the payments of Astro bills and topping up of NJOI credit (Astro has expressed their intent to introduce more features and options for the platform in the future). Before being able to use the service, individuals must register for an account and Astro ID and provide proof of their Malaysian citizenship by snapping a photo of their MyKad. Once done, users can load their accounts with value through credit/debit or via bank transfer, and can then proceed to make payments for goods and services. Currently, Payfy gives users the capability to save up to five different credit/debit cards on memory for easy reloading, but limits the total amount that can be stored on the account to RM300, which is also equal to the maximum amount that can be spent each day. Users also can withdraw funds back to their current or savings account if they so wish. Funds within the Payfy wallet—called Payfy Cash—will be valid for use indefinitely, but accounts that become inactive (12 consecutive months from the date of the last transaction) may be subject to having their remaining funds handled by Payfy in accordance with their terms and conditions. As a means to entice users to use its platform, Payfy will be giving new users free credit (RM8 at the time of writing) as well as cash back rewards for payments of their Astro bills or for topping up their NJOI credit. The Payfy app is now available for download on iOS and Android. For more information, check out the Payfy website.